This year has been a crazy, fast, slow, quite, manic record-setting year. Yes, all those things were wrapped up in the wonder that has been 2018. Here are three key lessons we can learn from this past year and take into 2019. Buying new-build property comes with several benefits. One of which is buying a property that is in immaculate condition. A pre-completion visit is your chance to ensure the property is in an acceptable condition. Simple strategies to improve your portfolio value. 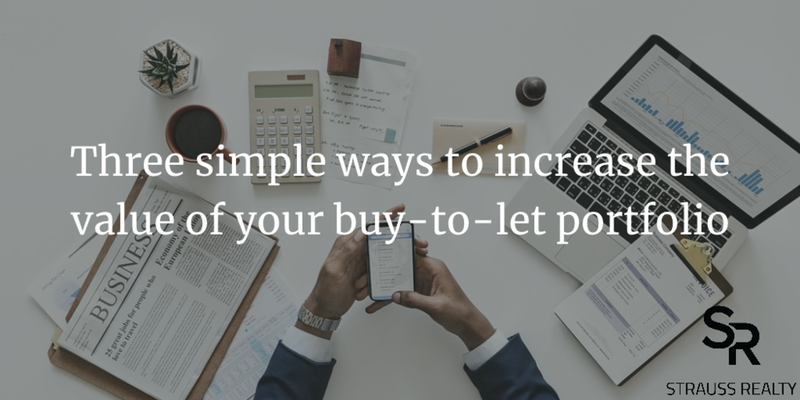 Buy-to-let investors regularly ask me how to increase the value of their property portfolios. Whether this is through increasing the marketable sales value as a stand-alone property or by raising the investment value through higher rental returns. What and how do asking prices and values relate, what do they even mean? We see so many headlines about asking prices changing and prices falling based on asking price information, but have you ever looked at what asking prices really are and what they mean? Location. Location. Location. Commuter Towns. It’s about more than just good transport links. I am a strong supporter of commuter towns; they are great for those who want to be out of the city or who want better affordability. What if, you can find a commuter town that is also a great location of its own? Wouldn't that be even more amazing? It’s what we can learn from this that matters most. £2m + properties in Central London see a resurging increase in demand. This is very interesting. Why, because we have seen a decrease in sales volumes in this segment of the market for almost two years now. A changing market makes for a very interesting market. The property market in London is changing. No, I am not talking about how properties are sold and bought, or rented and let out (that is another very interesting discussion) what I am talking about are the dynamics of sales volumes and price changes.